Also known as Sandakfu, Sandakphu is located at a height of 12,400 feet. 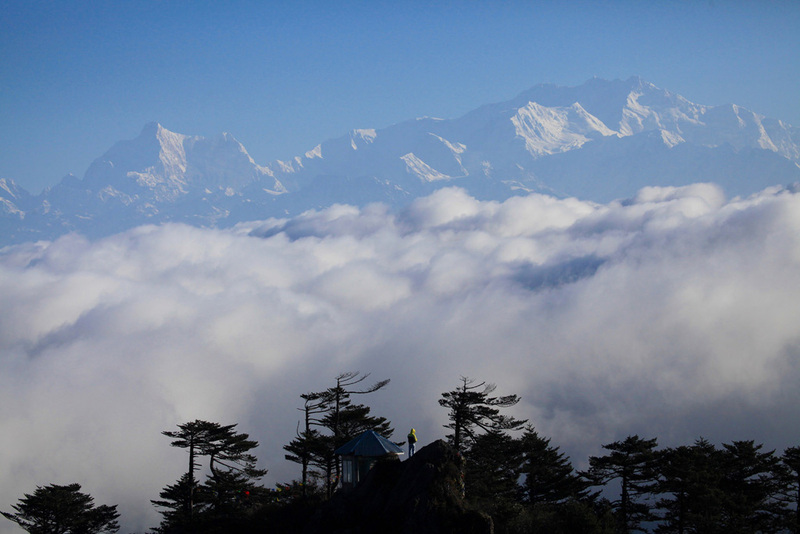 It is the tallest peak in West Bengal and is located in the Darjeeling district. It is situated right next to the Singalila National Park, which is located on the border shared by neighboring states West Bengal and Sikkim. It also happens to be the tallest peak of the Singalila range. The specialty of Sandakphu lies in the fact that the peaks of Everest, Lhotse, Kangchenjunga, and Makalu – which happen to be among four of the five highest mountain peaks of the world – can be seen from its topmost point. It is said that it offers the finest view of Kangchenjunga.